An interactive design that delivers a “next best thing to being there” fan experience with real time analytics and meaningful trends and insights from social media conversations. I was the UX Lead on the IBM Real Time Events team (Product Manager, UX Lead, two Visual Designers, iOS development team) and was responsible for the experience strategy and interaction design including producing all major deliverables. I worked alongside the iOS development team to make this design a reality. 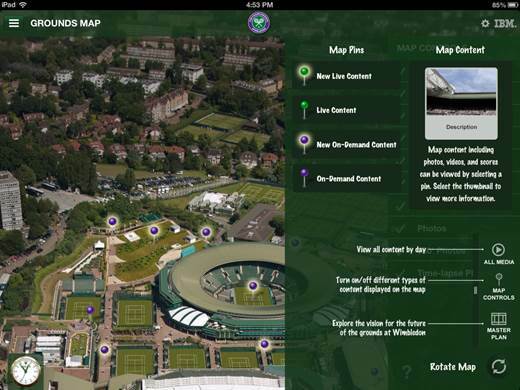 The push to provide a dedicated tablet experience for the Wimbledon Championships came as demand for information from tennis fans using mobile devices. 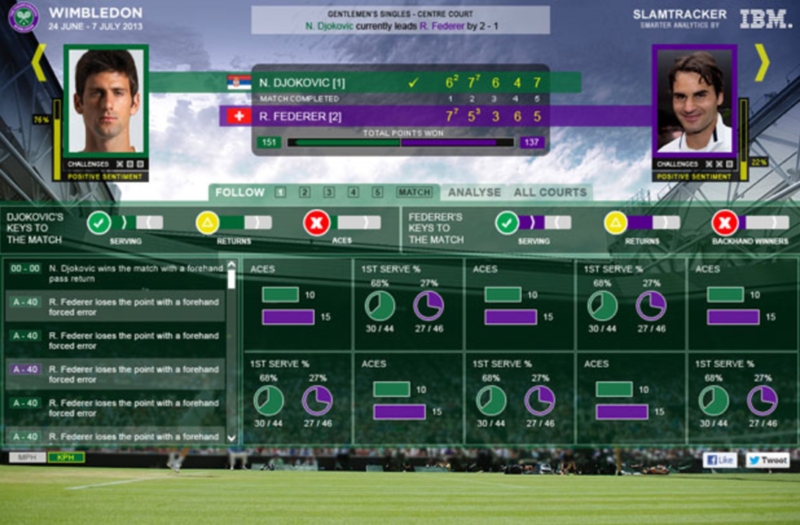 The AELTC (All England Lawn Tennis and Croquet Club) wanted an iPad app that would offer engaging content for users with an experience as immersive as it can be. A workshop was set up with the AELTC to determine the direction of the product. With “immersive” being the key word, our challenge was to bring the real world Wimbledon experience into the mobile digital devices. 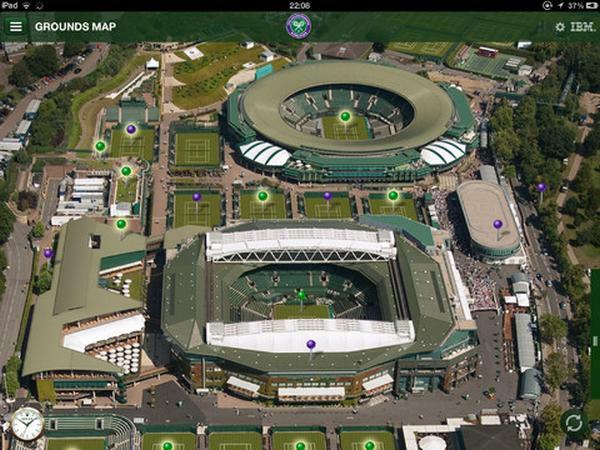 For all tennis fans who cannot not make the journey to the championships, the Wimbledon iPad app would be an immersive design that provides the next best experience to being at the grounds in person along with statistical analytics, live scores, live radio streams, etc. from matches on court. The experience that was launched in the app store opened with a bird’s eye-view of the grounds. Drones were used before the tournament to take photos and videos that were digitally stitched together to provide a 360 degree immersive view. 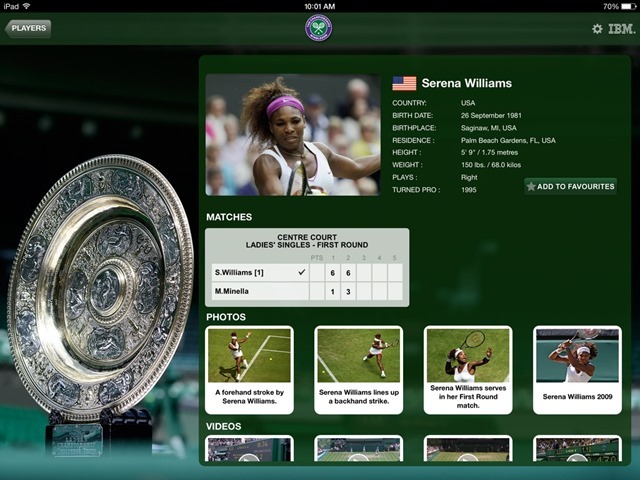 Along with the ground experience, the iPad app contained fan favorites like updates on scores, data insights from matches and content such as live radio streams. 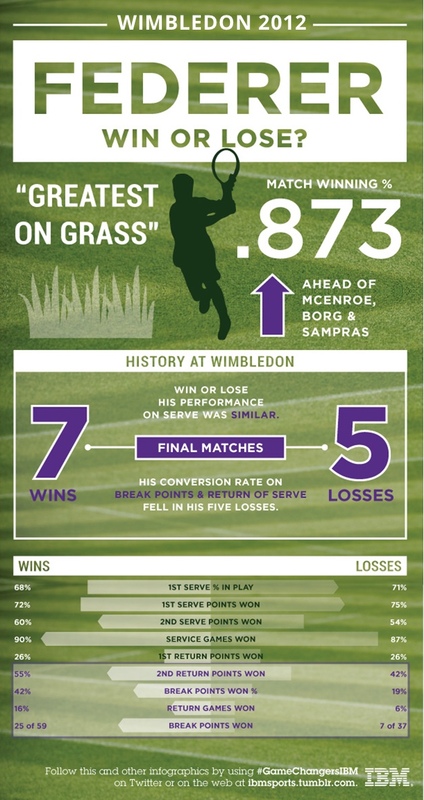 The Wimbledon iPad app won the Webby awards in Europe for the Sports (Handheld devices) category for original online content featuring sports news, sporting culture, sports teams, sports statistics, sports data, sporting events, and sports history. It was also shortlisted in the Digital Platform of the Year category at the 2014 Sport Industry Awards.